Leucophyllum frutescens is native to the Chihuahuan desert, Rio Grande, Trans-Pecos and somewhat into the Edward’s plateau. It prefers arid to semi-arid regions and is suitable for USDA zones 8-11. This plant bears many names, chief among them Texas sage tree; however, the plant is really more of a woody shrub. The shrub flowers profusely and responds well to pruning, all combined with ease of care. Read on to learn how to grow Texas sage and where and how to use it in the landscape. Texas sage is a classic in the American Southwest. 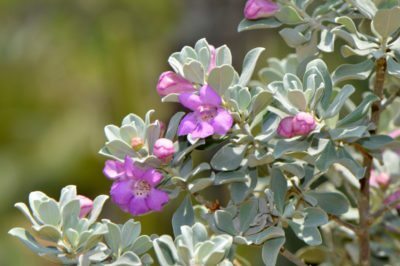 What is a Texas sage shrub? As a native plant, it provides cover for wild animals and birds and helps stabilize loose desert soils. This adaptable plant is drought tolerant and useful in areas with high heat and cold desert temperatures. It is also a landscape surprise that produces profuse lavender flowers. The plant additionally has deer resistance and thrives in poor soil. Texas sage can achieve 6 feet (2 m.) in height with a similar spread. While the grayish-green, woolly leaves are not terribly spectacular, the new wood on the plant produces copious lavender purple, magenta or white flowers. These have three fuzzy petals and a fused set below with conspicuous white anthers. 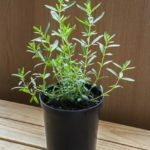 Plants are easy to propagate either through seed or softwood cuttings. In most regions, the leaves are evergreen but occasionally the plant may be deciduous. Texas sage information wouldn’t be complete without a list of its other common names. One of the more interesting is barometer shrub, as it blooms after monsoon rains. It is also known as Texas Ranger, cenezio, and silverleaf. Blooming starts in spring and occurs in bursts every 4 to 6 weeks up until fall in most regions. Growing Texas sage is quite easy in well-drained soil. It is not a nutrient hog and can survive in soils where other plants will fail, although it prefers alkaline soil. In the wild, it grows on rocky slopes and calcareous soils. The plant is known to be drought and heat tolerant and performs best in full sun. Shearing these plants is common, although the best natural appearance and production of flowers will occur if you prune in early spring. Initially, when growing Texas sage, young plants should be given supplemental irrigation. Most pests steer clear of this native plant and it has few disease issues. One thing that will cause it trauma is boggy soil that doesn’t drain. 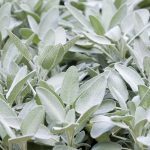 Texas sage care is minimal and it is an excellent plant for a novice. Because the plant lives in the wild in inhospitable soil and punishing heat and cold, the plant does not need fertilizing. If you wish, you can add an organic mulch around the root zone that will gradually release small amounts of nutrients. Avoid high nitrogen sources such as grass clippings. Keep pruning to a minimum once annually, but a good rejuvenation prune every 5 years will enhance the plant’s appearance. 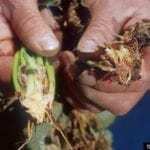 Texas root rot is a common issue but only occurs in high nitrogen soils that do not percolate. In areas where rains are prolific, plant the shrub in a raised bed to avoid any root rot issues. Some suggestions for growing Texas sage are in massed plantings, as a border, in a container, or as part of a naturalized landscape with other native plants.